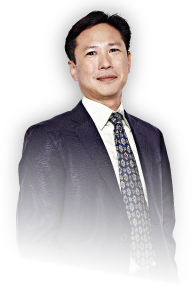 Having worked in the largest egg donation unit in Europe, and carried out extensive research into egg and sperm donor techniques and outcomes, Dr Andrew Kan has the specialist expertise you need to feel confident with using donor egg or sperm to conceive your baby. For many people, especially single and older women, using donor eggs or sperm gives them their only hope of having a child. You will need to first consider all the implications of using donor eggs or sperm, and you’ll be provided with specialist counselling to help you make the right decisions. As an IVFAustralia Fertility Specialist, Dr Kan offers access to the IVFA sperm donor program, which allows you to choose a donor who fits your needs from a large pool of potential de-identified donors. You can also use sperm donated by someone you know. Dr Kan will then support you through an IVF cycle, and the donor sperm will be injected into your eggs using the Intracytoplasmic Sperm Injection (ICSI) technique for the greatest chance of success. You will need to find someone (usually a family member or friend) who is willing to donate her eggs. Dr Kan and his fertility team can help you with advice on ways to recruit a donor, but they cannot recruit one for you. Your donor will go through an IVF cycle to synchronise her cycle with yours. Dr Kan will carry out the egg collection procedure at one of our day hospitals, and these will then be fertilised in the laboratory with either your male partner’s sperm or donor sperm, using ICSI. One of the resulting embryos is then transferred back into your own uterus. Other viable embryos can be frozen for potential future transfer. "Thank you for all your support and help with the creation of both of our children, Henry and Poppy. All went well with Poppy's birth and Henry loves his sister..."